Fallout 76’s transition to multiplayer survival hasn’t translated into popularity, at least on Twitch: the game has had less than half the viewers its single-player predecessor Fallout 4 did when it launched. Because Fallout 76 didn’t launch on Steam and instead uses Bethesda’s proprietary launcher, precise player numbers aren’t available like they were for Fallout 4. However, it is possible to gauge interest in the game based on how many Twitch users are watching streams of it being played. And according to GitHyp, a site that tracks videogame playtime and streaming statistics, interest in Fallout 76 is way down over Fallout 4, which launched in 2015. According to GitHyp’s figures, interest in Fallout 76 hit its peak on the first day of the beta, when it pulled in 184,000 concurrent viewers on Twitch. But it’s been all downhill since there, and when the game launched November 14, it only managed to reach 106,000 concurrent viewers. By comparison, on its launch day, Fallout 4 peaked at 243,000 concurrent viewers – and that was three years ago. According to influencer marketing agency Mediakix, Twitch has grown by 5 million users in the past year alone. It’s another bad sign for Bethesda’s big experiment, which hasn’t been able to put a foot right almost since it was announced. 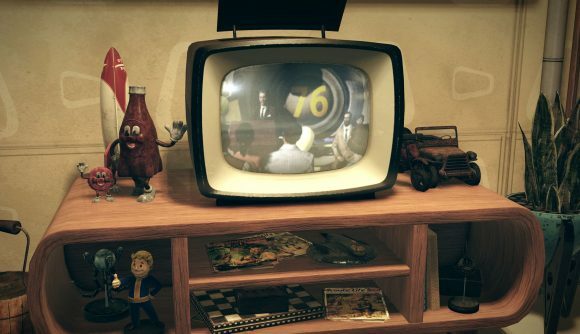 Despite its new ideas (and support from the State of West Virginia’s Governor Jim Justice), Fallout 76 has seen largely negative reactions from players and critics alike. Of course, that all could change – this version of Fallout is a ‘living game,’ so it’s bound to change over its life-cycle. For now, though, it looks pretty dead in the water.